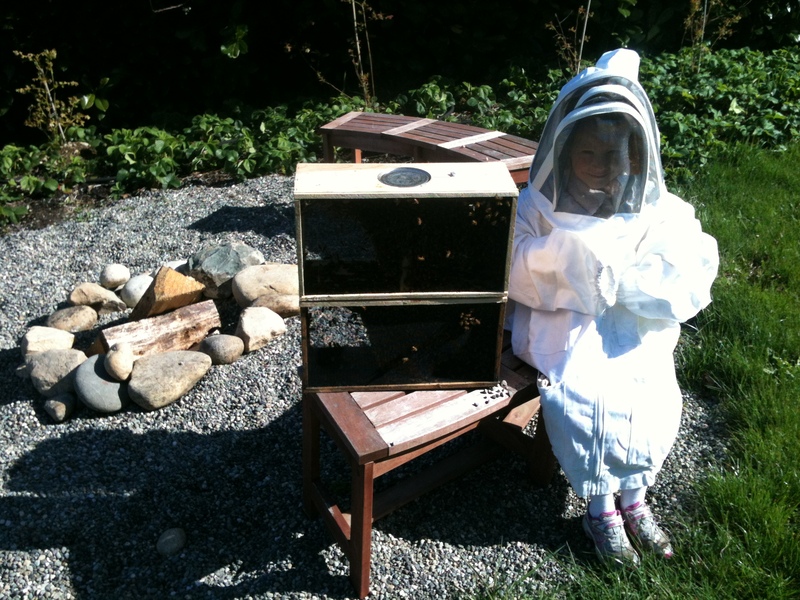 Using the no-bump method again this year, my four year old helped me install two new colonies of bees this year. She was thrilled to hold two queens in her hand (still in their travel boxes of course) and to wear my suit. No stings, happy bees, and a happy future beekeeper. That’s a good day.